In 2016 digital marketing is taking entirely new directions. New forms of marketing are growing, and the industry is diversifying across channels. For marketers, this is good news and bad news. Depending on how marketers are able to react and adapt to the changes in the industry, the diversification in the marketing industry will be either a new opportunity or an added hurdle for marketers. It will become more important than ever before to utilize multiple channels of media to spread your content and grow your brand. Marketing used to be easy. It used to be relatively simple to create a web page and attract viewers. Now, however, because of the incredible amount of content and information available at your fingertips, the Internet has become an incredibly competitive landscape. Attracting an audience is not nearly as easy as it was before; now there are a plethora of other websites and ads competing for viewer attention. Creating content and ads that engage and attract viewers has an entirely new meaning that it once did. New forms of marketing like virtual reality and interactive content will rise as marketing agencies compete for attention. In 2016, YouTube and Periscope will have exceptional value for marketers looking to grow their audience and grow a pipeline of interested prospective customers. Getting YouTube views will become increasingly important, and having a multi-channel marketing campaign will be critical for your business’ success. Here are three reasons why you should be marketing on YouTube and Periscope. Marketing will change in 2016, and YouTube will be a big reason why. YouTube is a critical marketing tool for practically any company in any industry. Importing and uploading video content has never been easier, which makes it seamless to integrate into any marketing plan. For business, online video marketing presents a unique opportunity. Used efficiently, video marketing can help to build trust and establish an organization as having authority. Moreover, it makes it easier to connect and engage customers. This all begins with recognition of authority. YouTube the second biggest search engine online, which offers businesses a gigantic platform to gain viewers. Users aren’t satisfied by physical ads or static marketing anymore. They want interactive, aesthetic, engaging material. 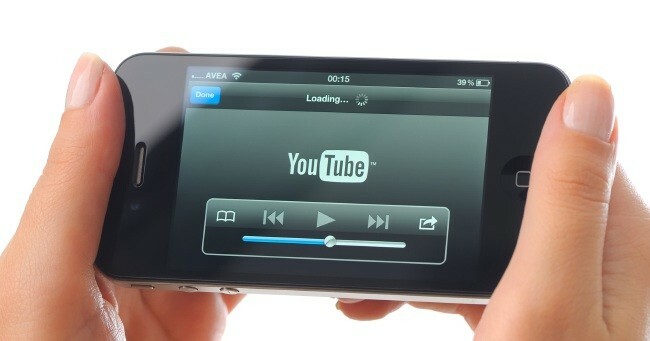 Uploading video content, which contains your businesses views and ideas, provides the aura of expertise and authority. By uploading videos with tips and strategies, businesses can not only get attention but also provide help and value to customers, which will build respect. Tips and how-tos are a great way to develop your company as an expert on the topic. When viewers see the videos, they will recognize your business as an expert for providing tips and advice. As a business, you must entice your audience with more than just a sales pitch. Trust is everything when it comes to customer acquisition. If they don’t trust you, they’ll never buy from you. Thus, it is particularly important to take measures to build rapport and trust with your customers. By building a relationship with clients, you can develop an edge over the rest of the competition and grow your customers base By uploading content on YouTube and Periscope, businesses are able to give reasons for customers to look at and evaluate your services and products. Credibility comes from information. There is no simpler, more direct, and easily absorbed way to display information that through video content. 15 seconds of video content can be more engaging and provide more observable information than an entire page of ads and marketing content. A great way to build trust and credibility through videos is to upload videos showing customer engagement and recommendation of your product. For prospective customers, nothing is more convincing than evaluating the honest opinion of a satisfied customer. Showing how you treat and respect your customers will help you win over new clients. Videos that show people having success with your product or even demonstrating why your product is so good are a great way to engage other viewers. Video testimonials can build trust by displaying and demonstrating value in a much more meaningful, engaging way than other more historically traditional ads ever could. Big or small, any organization can take advantage of video content as a means for establishing and building their brand. An easy way to do this is to upload a video with information steps or instructions, which help your target viewers successfully, accomplish a set of tasks or actions. Periscope and YouTube are becoming more powerful forms of communication, and more engaging than other types of less dynamic ads. People enjoy watching videos. It is effortless for the viewer, and often entertaining. Videos are a great way to connect with your viewers and provide more of a personal, hands on feel than traditional marketing. Engagement is key for the success of your marketing campaign. Platforms that display video content offer multiple layers of engagement. Beyond viewing of the video, YouTube offers marketers several different ways to connect with their audience. For example, viewers are able to leave feedback and comments on the videos. This allows viewers to interact not only with each other, but also with the company. This opens a line of communication between the customers and the company, which enables them to converse and form a degree of trust and connection. Businesses are able to reply to comments, post questions, opinions, and engage with their audience. By answering questions, companies are able to further establish themselves as experts. This will have a remarkable impact on branding because new viewers will be able to see and read the back and forth communication between the business and other viewers. This humanizes the business, and makes them appear as approachable, professional, and helpful. Video platforms are helpful across any industry. There are many reasons to use video platforms to market your business, and many benefits it can have. Update: Since this article was published, Facebook has introduced and promoted it’s Facebook Live feature. This has created an enormous upsurge in interest in live video and reinforces the points of this post.